Asset and Wealth Management (AWM) CEOs remain very confident about their companies’ growth prospects in 2018, but they are also aware that forces of regulation, technology and changing consumer behaviour are ushering in a period of disruption. That’s the main conclusion from the report ‘Optimistic CEOs, buoyant growth, disruption ahead’, which is part of PwC’s 21th Global Survey and questions 126 of the AWM sector’s CEOs about the threats and opportunities facing their companies. Although Assets under Management (AuM) will be buoyed by rising asset prices and PwC estimates that by 2025 global AuM will have almost doubled – rising from US$84.9 trillion in 2016 to US$145.4 trillion in 2025 – major changes to fees, products, distribution, regulation, technology and people skills, mean it won’t be business as usual in the years to come. More CEOs are gearing up for organic growth in the year ahead. 79% of them are planning for this, compared to 76% in 2017. To prepare for this, they’re staffing up, with 57% intending to increase headcount. Yet more than a third (39%) also intend to cut costs. With fees under intense pressure in the largest markets of the US and Europe especially, they seem to have little choice. CEOs answers reveal that there’ll be further consolidation. More than a third (43%) are planning mergers and acquisitions (M&A) in 2018, while 48% intend to expand capabilities through either strategic alliances or joint ventures. This follows 2017 when M&A in asset management reportedly climbed to an eight-year high. CEOs report varying motivations for M&A, including economies of scale and synergies, entering new markets and the need to offer a more diverse range of products. Whether through M&A, joint ventures or straightforward expansion, CEOs remain eager to access markets outside their home base. As North America remains the world’s wealthiest region, it’s no surprise that 48% of CEOs regard the US as the most important market outside their own. But almost as many, 40%, are looking to China. CEOs are rightly anxious about the many threats they face. Regulation is their greatest worry, with 83% stating that they’re ‘somewhat or extremely concerned’. In Europe and the US, the Markets in Financial Instruments Directive II (MiFID II) and Department of Labor Fiduciary Rule respectively are set to squeeze margins. These regulations are putting further pressure on asset management fees and demanding greater transparency. Similarly, tax changes are a big issue, with 77% stating that they’re ‘somewhat or extremely concerned’. For some managers, new tax rules are challenging historic tax structures. More generally, the Foreign Account Tax Compliance Act (FATCA) and Common Reporting Standard (CRS) rules for sharing of tax information about individuals between countries places the burden of reporting on financial institutions. Additionally, the United States recently enacted the most comprehensive tax reform in more than 30 years and the implications for operating models in the AWM sector could be significant. Unsurprisingly, technology and the speed that it may change the sector is perhaps what makes AWM CEOs lose most sleep. Some 70% of CEOs believe that changes in core technologies will prove ‘disruptive or very disruptive’ over the next five years. As a consequence, many CEOs are also worried about the availability of digital talent. Some 63% confess to being ‘somewhat or extremely concerned’ about the lack of digital skills in senior leadership. A similar number, 67%, are concerned about a lack of digital skills throughout their businesses. At the same time, AWM CEOs are struggling to come to grips with how technology is changing consumer behaviour. Simply speaking, customers want better products and services, more quickly and at a lower cost (better, faster, cheaper). However just 38% of the interviewed CEOs believe that robotics and alternative intelligence (AI) can improve the consumer experience. This seems a very low number and hard to reconcile with the possibility that AI may come to reduce or eliminate completely the use of the investment analyst. 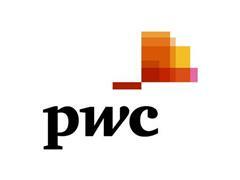 126 Asset and Wealth Management CEOs were surveyed as part of PwC’s Global CEO Survey. For more information see: www.pwc.com/ceosurvey.